The space-saving TLP 3842 desktop printer, for print widths up to 4 inches, adds high-resolution print capability to Zebra’s popular and proven Desktop series. 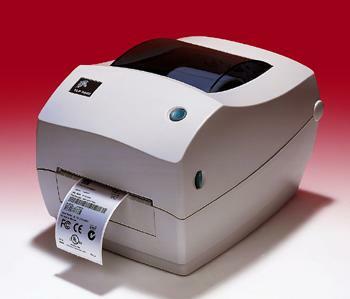 The TLP 3842’s 300-dpi printhead enables high-quality, crisp, clear printing of two-dimensional bar codes, fine text, and complex graphics - ensuring high-density data on very small labels is easy to read and highly scannable. LP2844 DT 4.09" 1" - 4.25" 203 4 IPS 5" 1", 1.5"
TLP2844 DT/TT 4.09" 1" - 4.25" 203 4 IPS 5" 1", 1.5"
TLP3842 DT/TT 4.09" 1" - 4.25" 300 2 IPS 5" 1", 1.5"